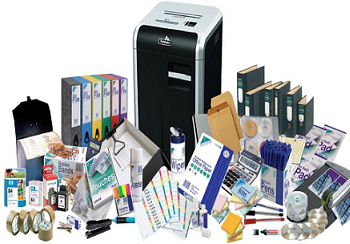 PrintweekIndia is a trusted manufacturer and supplier of Office Stationery printing and has been successfully catering to businesses and offices since its inception. The trust has been built over years by providing the highest quality branded office stationeries. Since market runs with customer satisfaction, we are never complaint about our products. We focus on their needs i.e. whom they want to target and what are their needs. We have been transforming their concepts into visual forms by catering to their needs and also at the same time creating awareness about the company in the minds of the target audience.To this end, customized products become an inevitable requirement. We design, infuse color, place logos of the company in complete consultation with our clients. We take both small and bulk order with the same amount of dedication and precision and also make sure that we are able to supply your order within the stipulated time frame. Our range of stationery printing includes conference pad, cube memo, excellent note, executive pad, pocket jotter, pocket memo, pocket notes, side wiro pads, top wiro pads and a lot more. In this fast emerging industry our products are available in several shapes, sizes, colors and designs. We manufacture them from high grade raw material and promise durability with smooth printing surface. For further information on our quality products, do not hesitate to visit India’s best online printing site PrintweekIndia.com.